In R.E. 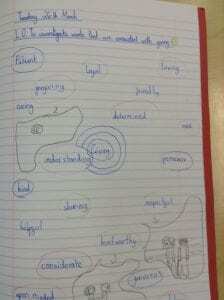 we have been thinking about the word ‘giving’ and have tried to use as many words as possible associated with it. 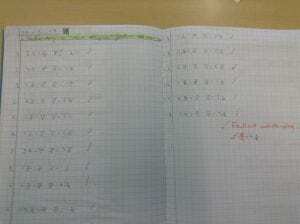 In Maths we have been multiplying fractions for the first time. 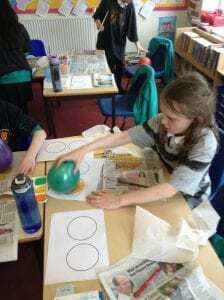 In Art we have had great fun using poster paint and balloons to recreate the planets of our solar system.